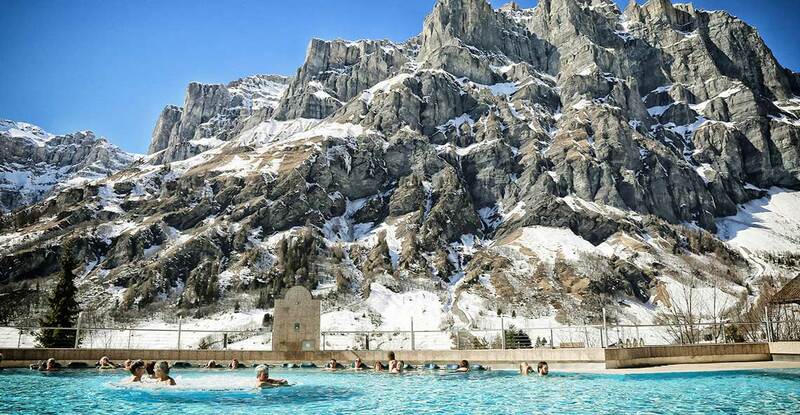 Leukerbad is an historic spa town in the heart of the Valais that dates as far back as the Roman era. With its own ski area split across two sides of the valley, the resort has long gone underated by many who have yet to discover its many charms. The scenery in particular is nothing less than spectacular. 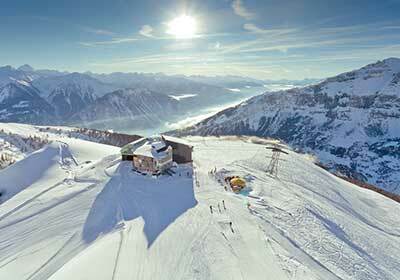 Leukerbad is set in a bowl surrounded by imposing cliff tops that create quite an atmosphere. Head to the Torrenthorn vantage point and you can enjoy some truly incredible views. 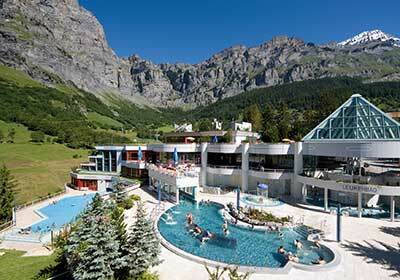 Leukerbad is however known mainly for its thermals spas, in fact it is the largest thermal spa resort in the entire Alps. 65 springs feed feed around 4 million litres of water every day, with temperatures up to 51 degrees. These are wonderful places to relax and unwind all year round, whether after a day of skiing or hiking the mountains. While the town might be family friendly, the slopes are much more suited to intermediates and above. 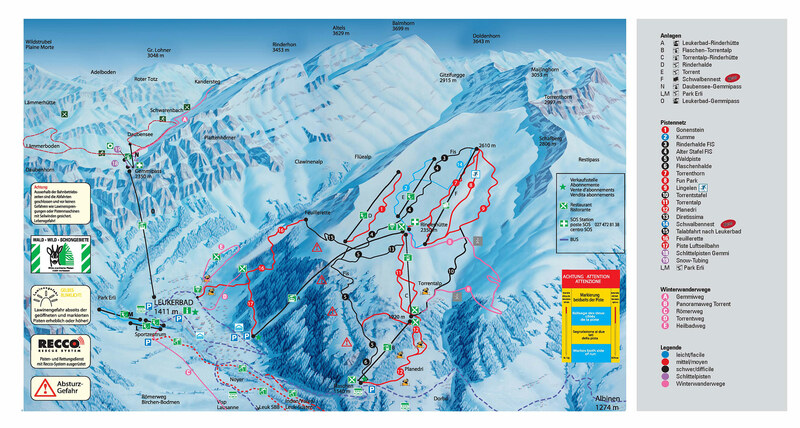 Out of the almost 55km of pistes, less than 5km are suitable for beginners. On one side of the resort a cable car takes you above the cliffs to a vast cross country area. On the other are the downhill slopes consisting mostly of reds with a few blacks. There are some impressive runs here, in particular one black which also serves as a World Cup downhill slope. The majority of these slopes are snow sure and well above the treeline, however you can enjoy fun wooded slopes as you descend down to the resort. Being a resort as old as Leukerbad, the town has already been built up and, thanks in part to the new Weber laws, there is no new build property in the resort for the foreseeable future. 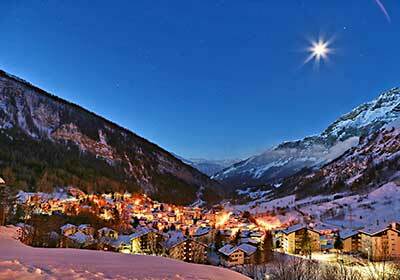 Leukerbad is also primarily made up of apartment residences, thus you are unlikely to find a chalet. Therefore the majority of available properties are resale apartments, a decent amount of which are permitted for purchase by foreign buyers. Prices here are reasonable and there is a good range of options in terms of size, bedrooms and location depending on whether you would prefer to be closer to the spa or the lift.